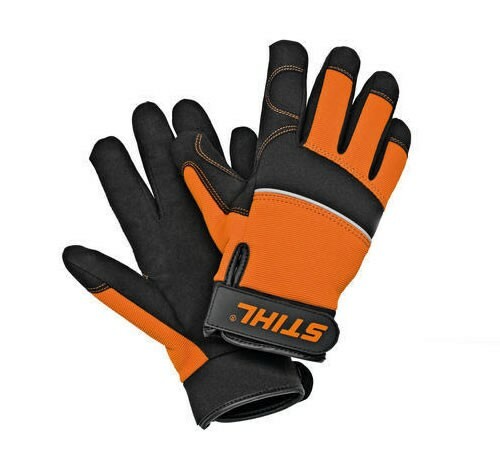 Comfortable Stihl Large work gloves made of black synthetic leather, orange Spandex ® and neoprene. Fingers with lateral air vents. Flexible rubber cuff with Velcro fastener. Also available in sizes; Small, Medium, Extra Large Please Note: These Gloves are not suitable for use with chainsaws.